Can taxonomies in the term store be used to control IM Policies such as retention and disposition? This week's question is: "Can taxonomies in the term store be used to control IM Policies such as retention and disposition?" Answer: There are two ways that one can control records retention and disposition policies in SharePoint. Content types can be used to set up retention policies directly. This is the default method in SharePoint and it means a document will receive its rentention policy based upon the content type it has. If you don't want to use content types, taxonomies from the term store can be used for records retention, but in a more indirect method than content types. You can’t set up retention/disposition schedules directly from managed metadata. 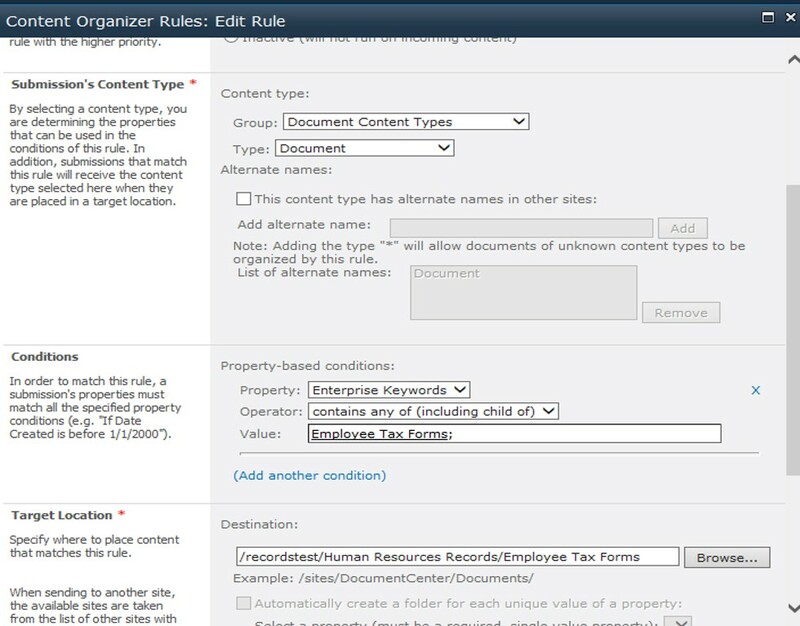 However, you can use the Content Organizer feature to direct a document to a given folder based on metadata that has been applied to that document. 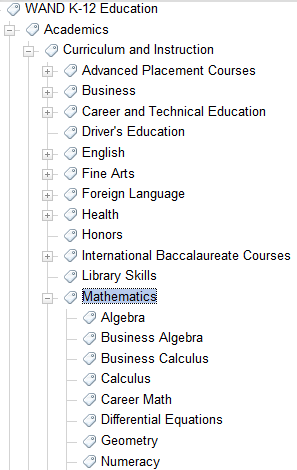 Then, set up the “Source of Retention” to be Library and Folders instead of Content Types. You then assign the retention schedule at the folder level. Then, when a document is checked in and tagged with metadata, it will be routed to a folder where a retention schedule is applied. Now, a retention schedule is being applied to a folder. All documents in this folder will inherit the same retention schedule. 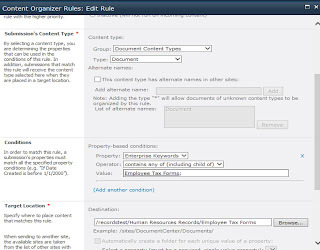 What are the considerations for using picklists versus taxonomies in SharePoint? This week's question is: "If the taxonomy is only being used to sort and filter documents in a single library, what are the pros/cons of using a term set vs. a choice list. With just a few choices (e.g., 2 - 10) a list seems like it may be easier to implement and use. 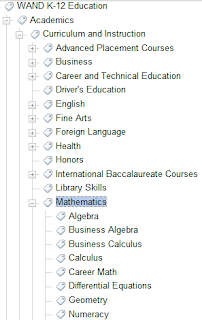 Any other considerations for choice lists vs. term sets? 1) Do I want to be able to associate synonyms to a term? 2) Do I need to translate terms? 3) Do I want to have the terms organized in a hierarchy? 4) Do you want to share the picklist across libraries or sites? 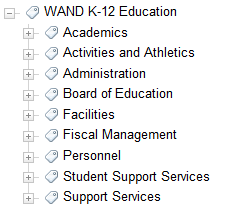 5) Do you want to make changes to a shared list of terms and have those changes populate everywhere the set is used? If your answer to any of these is yes, then you should use a term set instead of a pick list. Is an enterprise taxonomy necessary for managing enterprise records and information or is a controlled vocabulary sufficient for most organizations? This week's question is: "Is an enterprise taxonomy necessary for managing enterprise records and information or is a controlled vocabulary sufficient for most organizations?" A controlled vocabulary is a list of terms that may include synonyms but does not include any relationships between terms. This becomes difficult to manage in cases where there are a large number of terms. Controlled vocabularies can be organized alphabetically, but eventually the size may make it difficult for somebody to find their desired term in the alphabetical list. This is where having a hierarchy can make a set of terms more usable and more easily manageable.